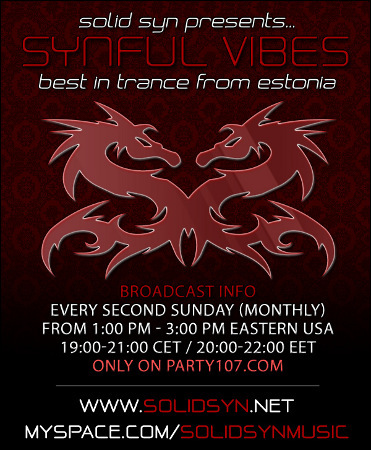 Party107 welcomes DJ duo Solid Syn to the netwaves with their monthly show "Synful Vibes"! Solid Syn are SolidBase and Synerje, two young DJ's who met four years ago on a public forum. Both of them were into trance music and mixing, and about two years ago they decided to start mixing together. A project called "Solid Syn" was then born. 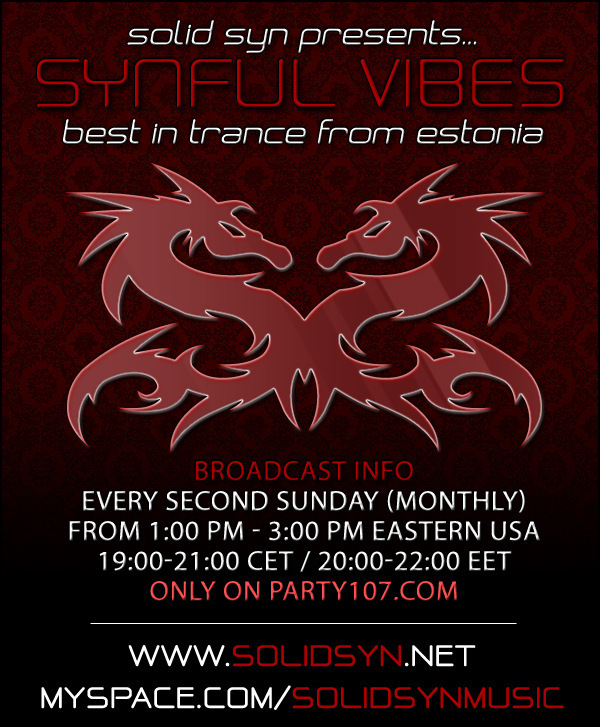 "Synful Vibes" is a monthly two hour show featuring the best in trance from Estonia. Catch the debut of the show on Party107 this Sunday, May 10 at 1:00 PM Eastern / 10:00 AM Pacific / 19:00 CET / 6:00 PM UK! Also tune in at 9:00 AM Eastern before the Synful Vibes debut for a special four hour edition of Global Perception with Katsarov, Ron van den Beuken, Kenneth Thomas, and Kaeno.